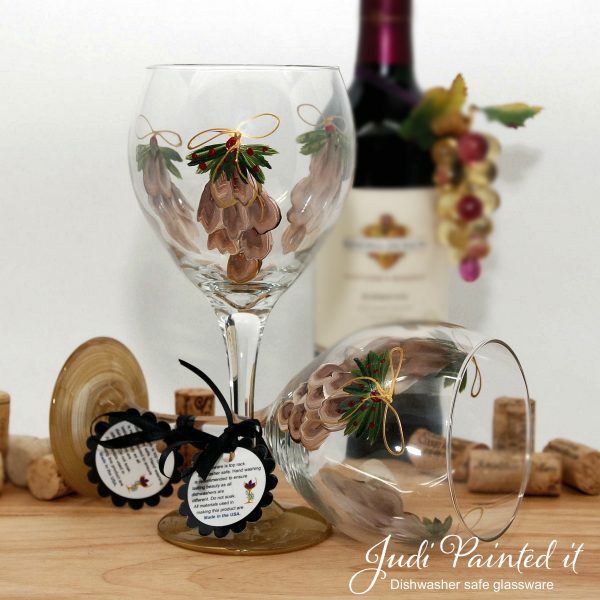 View cart “Pine Cone Wine Glass” has been added to your cart. Add a little elegance to your holiday decor. 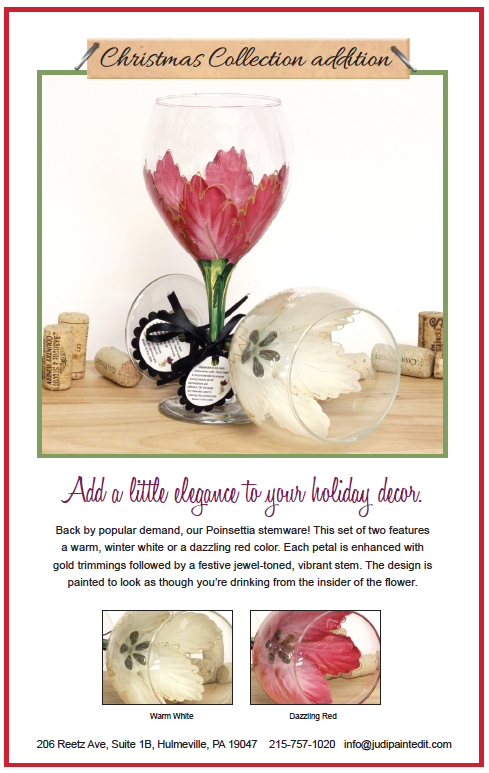 The painted Poinsettia wine glass is enhanced with gold trimmings followed by a festive jewel-toned, vibrant stem. 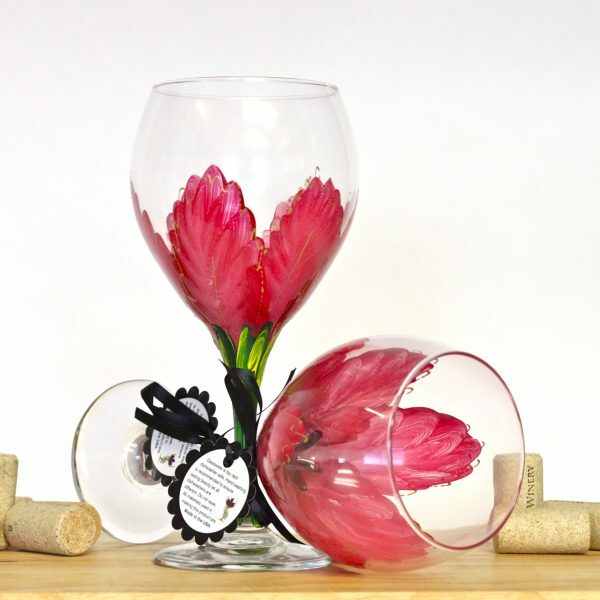 The design is painted to look as though your looking inside the flower, but no paint is inside the glass. 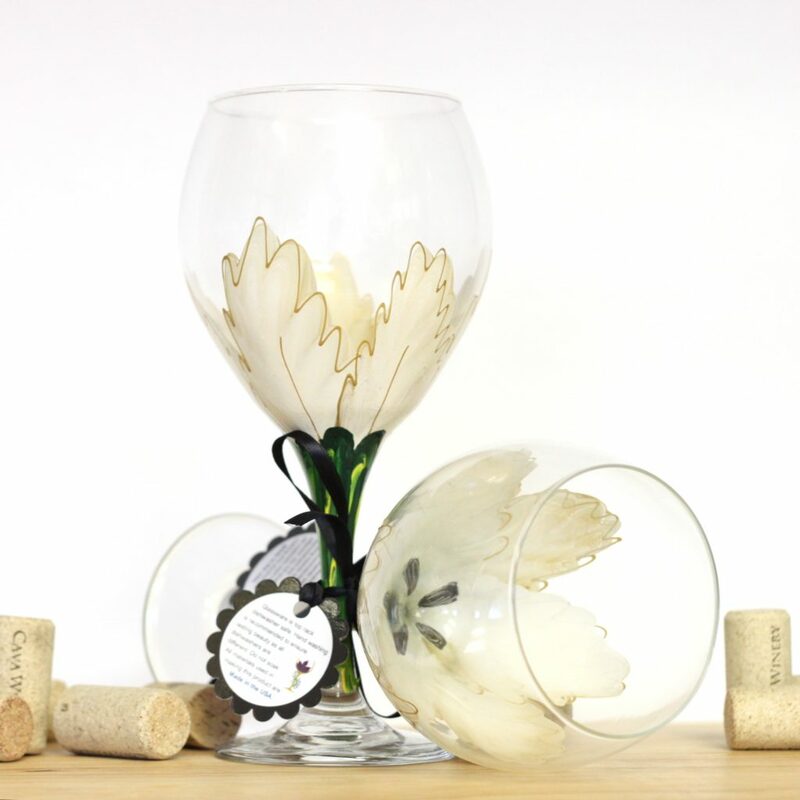 ‘Tis the season to be very, very good to your guests by serving them wine in these stunning pine cone glasses. Don’t be fooled by the delicate appearance of this durable hand painted glass; it’s specially coated to stand up to top shelf dish washing. 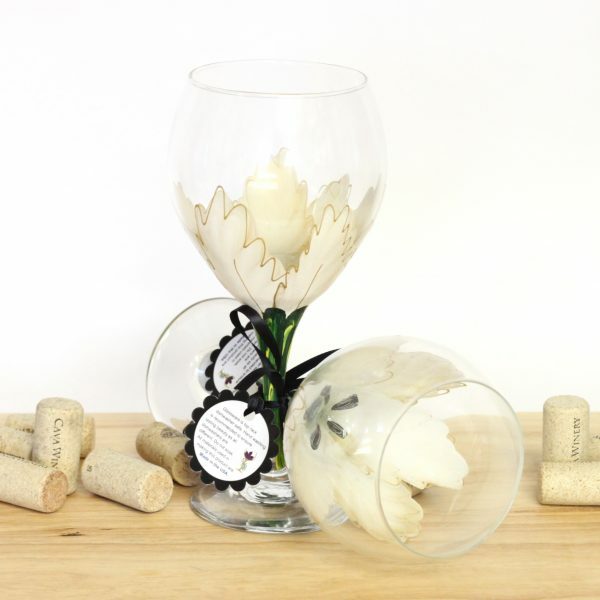 Note: This listing is for (1) glass, photo shows two so you can see all angles.